Cotton-Filled Exodontia Sponges 3" x 3" Non-Sterile 200 SpongesBox | Southern Anesthesia & Surgical, Inc. This sponge looks similar to the all-gauze variety with its cheesecloth-like outer layer, but it contains a layer of pure cotton on the inside for greater absorbency. SAS prides itself in fulfilling your order as quickly as possible. In-stock items that are ordered and processed by 3pm Eastern Standard Time will be shipped same-day. Did you know 99% of SAS customers receive their orders within 1-2 business days of shipment? 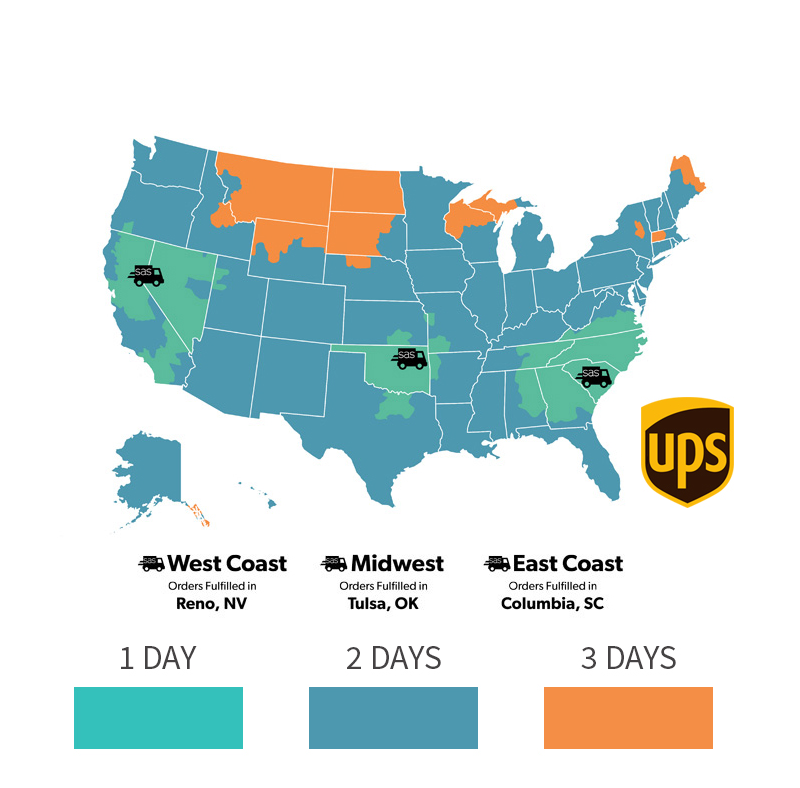 SAS has three order fulfillment facilities throughout the United States to ensure your order is to you in 2. To view shipping policy, click here.